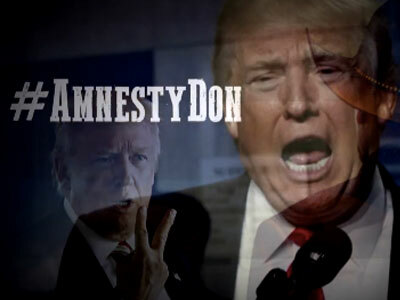 Amnesty Don, if you need a reminder, is the name MSNBC’s Morning Joe host, Joe Scarborough, bestowed upon Donald Trump on a segment of his show Monday, in a bit of mocking mimicry of the GOP presidential candidate’s own slams. And similarly to Trump, Scarborough has ratcheted up his #AmnestyDon campaign, albeit in Scarborough fashion, turning to his real passion, music. Joe Scarborough made a video, folks.